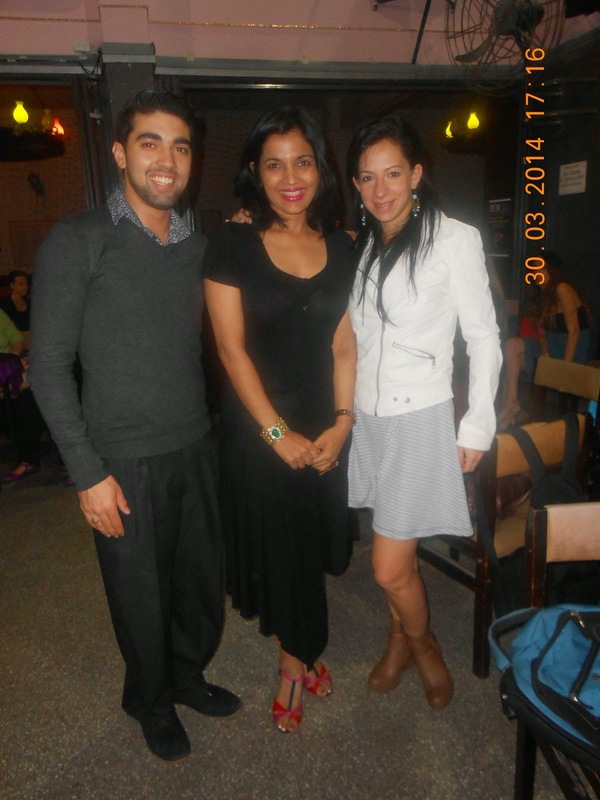 Taking Tango lessons from Ruben Veliz and his partner Sabrina was a good learning experience. Their methodology is an eye opener. He has written this wonderful book called "Secrets of embrace". You can see me holding his book below. He is a good teacher. Very crisp and precise in his approach. It is very important to learn from different teachers and get different perspectives. Below I am standing with two models who have posed for Ruben's book. 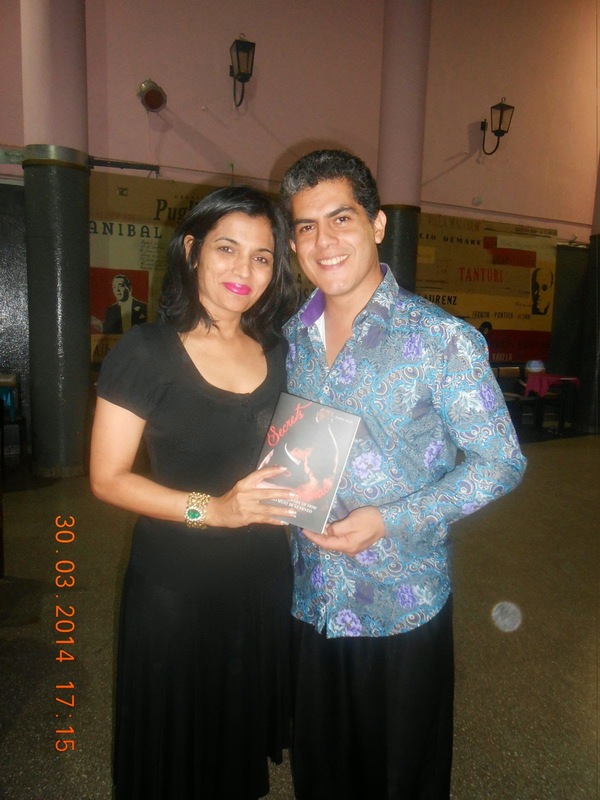 Here I am with the author of another fabulous book- Entre la Patagonia y el Tango. It is written by María Inés Ocampos. This was another milonga in Villa Malcolm. I would not say it was my favorite.